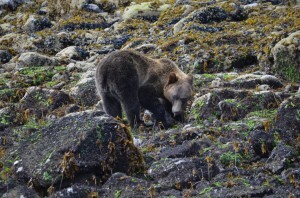 Our first grizzly bear tours in late May and early June grizzlies are often viewed along the shore before we arrive at Glendale River estuary the normal viewing area. 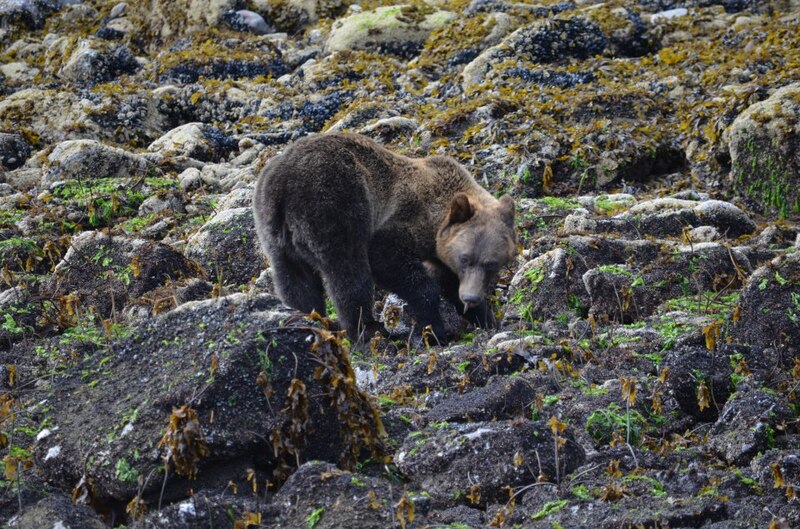 The cubs that are born in the den in January or February are too young to be taken to the estuary where there may be mature male grizzlies. These small bays are referred to as nurseries and it gives the cubs time to grow on mother’s milk, which is more than 30% fat. 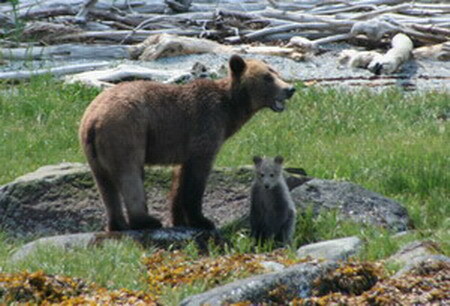 They also become accustomed to the presence of boats and learn to ignore us from their mothers.